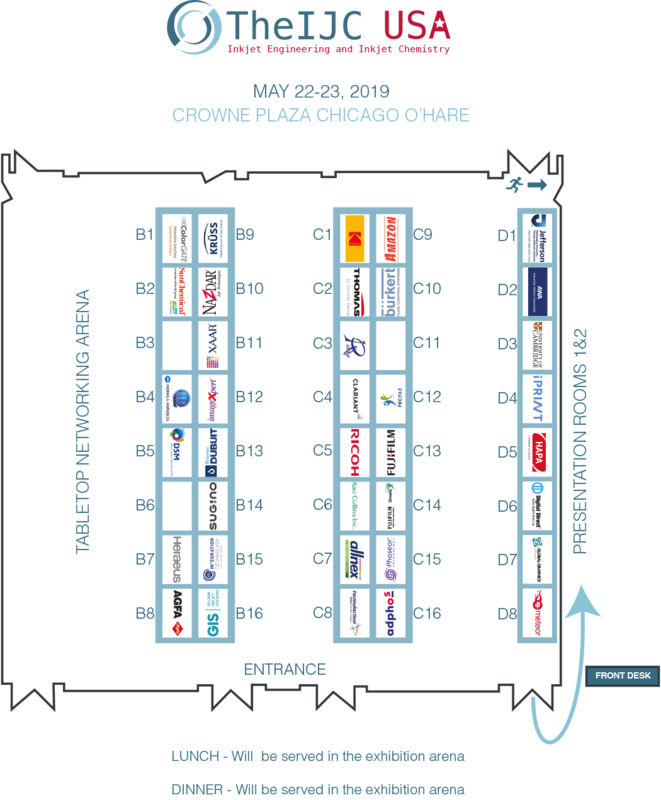 22-23 May 2019, Crowne Plaza Chicago O'Hare Hotel hotel in Chicago. A table with basic furniture (2 chairs and a table). You are allowed to set up roll-ups or displays within this area. Equipment other than standard laptop or PC computers and screens should be notified. More info: info@esma.com. Company banner or logo with link to your company website can be provided. Specification of banner can be requested. Insurance Each exhibitor exhibits at his own risk. The exhibitor is responsible for and shall indemnify ESMA vzw and Digital Direct Technologies bvba (the organisers) in respect of all claims (whether arising from personal injury or damage to property or otherwise), arising in connection with the erection and dismantling of the exhibitor’s stand and anything permitted, omitted or done thereon or there from during the period of the event or during constructing and dismantling periods arising directly or indirectly by act, omission or neglect of activity or other article or thin of the Exhibitor or in the possession or use of the Exhibitor. The organisers will take such precautions as it may consider appropriate for the proper running of the event, but will not at any time be responsible for loss, or damage to, or safety of any stand, exhibit materials or other property of an Exhibitor or any other person under any circumstances. All Exhibitors are advised to effect their own insurance against relevant risks. Exclusions of Liability The Exhibitor accepts all risks associated with the use of the exhibit space and environs. The Exhibitor shall not make any claim or demand or take legal action against ESMA vzw or Digital Direct Technologies bvba for any loss, damage or injury whatsoever caused, to the Exhibitor, its offices, employees, agents or their property. Indemnity The Exhibitor agrees to indemnify and hold harmless ESMA vzw and Digital Direct Technologies bvba against all claims, costs and charges of every kind resulting from their occupancy of the exhibit space or its environs, for personal injuries, death, property damages or any other damages sustained by the Exhibitor or its officers, agents, employees or those for whom in law they are responsible, or ESMA vzw and Digital Direct Technologies bvba or a visitor to the event. Exhibitor’s property All of the Exhibitor’s property at the event shall be at the sole risk of the Exhibitor. ESMA vzw and Digital Direct Technologies bvba assume no responsibility for loss or damage thereto. Building The Exhibitor is liable for any damage it may cause to the facility or to any property of ESMA vzw and Digital Direct Technologies bvba or any other Exhibitor. Payment Terms 100% upon receipt of complete order form unless otherwise indicated on the booking form. For cancellation received before 31 December 2018, 60% of stand fee will be refunded. No money will be refunded after this date. Cancellation or Curtailment of The Inkjet Conference USA by ESMA vzw or Digital Direct Technologies bvba: In the event of The Inkjet Conference USA being cancelled or curtailed, ESMA vzw and Digital Direct Technologies bvba will not be responsible for any loss of business, loss of profits, or damage or expense of whatever nature may be suffered by Exhibitors. Governing Law & Jurisdiction This contract shall be governed and construed in accordance with the laws of Belgium and the parties agree to submit to the non-exclusive jurisdiction of the Belgian court of Leuven.